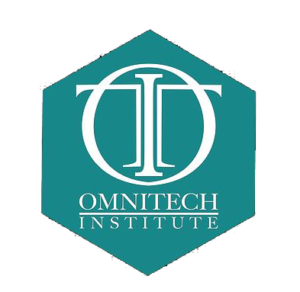 The Omnitech Networking Program (ONP) is designed to provide students with a strong foundation in networking on multiple platforms – Microsoft Windows 7 and Linux. ​Upon successful completion of the program, students should have the necessary skills to install, configure, and operate Windows and Linux operating systems, as well as operate routers and set up network firewalls. The student is also prepared for several certifications: Network+; Microsoft Certified Professional (MCP) – Windows XP Professional and Windows Server; Cisco CCNA and CCNA Security. In this course students will learn about the significant role of computers in business and society. Students will be introduced to concepts addressing computer hardware and software, networking, multimedia, telecommunications, careers in the Information Technology field, and current computer-related issues. This course has a computer lab component where students get hands-on experience using a current integrated software package (MicrosoftTM Office®) to better understand how computers are used in a business environment. In this course students will learn how to prepare a resume, organize a job search, complete a job application, interview effectively, project a positive and responsible attitude, negotiate salary, and more. This course provides the competencies and skills needed to repair and maintain PC’s. A+ certification provides the essential prerequisite knowledge for candidates pursuing other certificates such as the Microsoft Certified Systems Engineer (MCSE). Certification is achieved by passing two computer based exams at any authorized testing center. The core exam tests the candidates’ fundamental knowledge of service procedures and computer hardware while the elective exam measures the candidate’s knowledge of installation and support of DOS and Windows systems and applications. Network+ Guide to Networks, Fourth Edition is designed to prepare users for CompTIA’s Network+ certification exam and will also offer mapping features to the exam objectives. The text presents current coverage of networking hardware and software along with the skills necessary to succeed in the dynamic field of networking. This course provides students with the knowledge and skills necessary to install and configure Microsoft Windows Server on stand- alone computers and on client computers that are part of a workgroup or a domain. I addition, this course provides the skills and knowledge necessary to install and configure MS Windows Server to create file, print, and terminal servers. This course is designed to help students successfully pass CompTia’s Linux + Certification exam. CompTia has revised their Linux+ certification to meet industry demands by reducing its focus on hardware terminology and increasing its focus on the configuration of network services and security. This course covers Red Hat Fedora Core 2, the newest version of the popular Linux operating system. Not only will this prepare students for CompTia’s Linux+ certification, the course will equip all students with the information necessary to remain current with industry changes. This course is designed to share preparation hints and test- taking tips, helping you to identify areas requiring further study and improve your conceptual and hands on knowledge. This course is designed specifically to prepare students for successful completion of the CCENT, CCNA & CCNA Security Certification Exams. Cisco Certified Network Associate Security (CCNA Security) validates the ability to secure Cisco networks. With this training course, networking professionals will gain the skills required to develop a security infrastructure, recognize threats and vulnerabilities to networks, and mitigate security threats. In this course, we will take an in-depth look at network security concepts and techniques. We will examine theoretical concepts that make the world of security unique. Also, this course will adopt practical, hands on approach when examining networking security techniques.